Finance for $1,075 per month at 3.9% APR for 54 months with $6,062 down payment. Payment expires on 04/30/19. Estimated Finance payment based upon 3.9% APR for 54 months, with a down payment of $6,062. Excludes title, taxes, registration, and license fees. Some customers will not qualify. See your authorized dealer for complete details on this and other offers. Residency restrictions may apply. Finance for $1,077 per month at 3.9% APR for 54 months with $6,070 down payment. Payment expires on 04/30/19. Estimated Finance payment based upon 3.9% APR for 54 months, with a down payment of $6,070. Excludes title, taxes, registration, and license fees. Some customers will not qualify. See your authorized dealer for complete details on this and other offers. Residency restrictions may apply. Finance for $1,207 per month at 3.9% APR for 54 months with $6,622 down payment. Payment expires on 04/30/19. Estimated Finance payment based upon 3.9% APR for 54 months, with a down payment of $6,622. Excludes title, taxes, registration, and license fees. Some customers will not qualify. See your authorized dealer for complete details on this and other offers. Residency restrictions may apply. Finance for $1,188 per month at 3.9% APR for 54 months with $6,682 down payment. Payment expires on 04/30/19. Estimated Finance payment based upon 3.9% APR for 54 months, with a down payment of $6,682. Excludes title, taxes, registration, and license fees. Some customers will not qualify. See your authorized dealer for complete details on this and other offers. Residency restrictions may apply. Finance for $1,178 per month at 3.9% APR for 54 months with $6,629 down payment. Payment expires on 04/30/19. Estimated Finance payment based upon 3.9% APR for 54 months, with a down payment of $6,629. Excludes title, taxes, registration, and license fees. Some customers will not qualify. See your authorized dealer for complete details on this and other offers. Residency restrictions may apply. Finance for $1,263 per month at 3.9% APR for 54 months with $7,092 down payment. Payment expires on 04/30/19. Estimated Finance payment based upon 3.9% APR for 54 months, with a down payment of $7,092. Excludes title, taxes, registration, and license fees. Some customers will not qualify. See your authorized dealer for complete details on this and other offers. Residency restrictions may apply. Finance for $1,316 per month at 3.9% APR for 54 months with $7,382 down payment. Payment expires on 04/30/19. Estimated Finance payment based upon 3.9% APR for 54 months, with a down payment of $7,382. Excludes title, taxes, registration, and license fees. Some customers will not qualify. See your authorized dealer for complete details on this and other offers. Residency restrictions may apply. Finance for $1,394 per month at 3.9% APR for 54 months with $7,814 down payment. Payment expires on 04/30/19. Estimated Finance payment based upon 3.9% APR for 54 months, with a down payment of $7,814. Excludes title, taxes, registration, and license fees. Some customers will not qualify. See your authorized dealer for complete details on this and other offers. Residency restrictions may apply. Finance for $1,421 per month at 3.9% APR for 54 months with $7,960 down payment. Payment expires on 04/30/19. Estimated Finance payment based upon 3.9% APR for 54 months, with a down payment of $7,960. Excludes title, taxes, registration, and license fees. Some customers will not qualify. See your authorized dealer for complete details on this and other offers. Residency restrictions may apply. Finance for $1,574 per month at 3.9% APR for 54 months with $8,800 down payment. Payment expires on 04/30/19. Estimated Finance payment based upon 3.9% APR for 54 months, with a down payment of $8,800. Excludes title, taxes, registration, and license fees. Some customers will not qualify. See your authorized dealer for complete details on this and other offers. Residency restrictions may apply. Finance for $1,587 per month at 3.9% APR for 54 months with $8,868 down payment. Payment expires on 04/30/19. Estimated Finance payment based upon 3.9% APR for 54 months, with a down payment of $8,868. Excludes title, taxes, registration, and license fees. Some customers will not qualify. See your authorized dealer for complete details on this and other offers. Residency restrictions may apply. Finance for $1,179 per month at 3.9% APR for 54 months with $6,630 down payment. Payment expires on 04/30/19. Estimated Finance payment based upon 3.9% APR for 54 months, with a down payment of $6,630. Excludes title, taxes, registration, and license fees. Some customers will not qualify. See your authorized dealer for complete details on this and other offers. Residency restrictions may apply. What makes the CT6 such a sought after car for the Trevose driver? 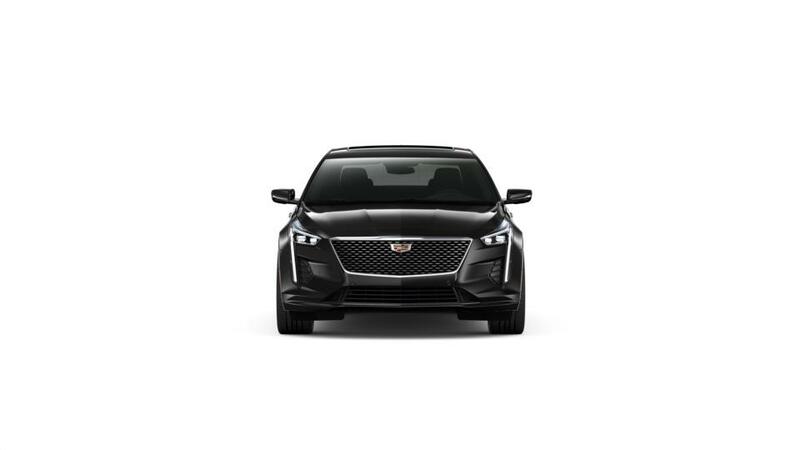 Browse our inventory of the Cadillac CT6 to choose the color and trim level that work best for you. See above for extra details, or contact us at (866) 722-7910 about purchasing or leasing a CT6 in Trevose.